Fentanyl, also spelled fentanil, is an opioid used as a pain medication and together with other medications for anesthesia. Fentanyl is also used as a recreational drug, often mixed with heroin or cocaine. It has a rapid onset and effects generally last less than two hours. Medically, fentanyl is used by injection, as a patch on the skin, as a nasal spray, or in the mouth. Common side effects include vomiting, constipation, sedation, confusion, hallucinations, and injuries related to poor coordination. Serious side effects may include decreased breathing (respiratory depression), serotonin syndrome, low blood pressure, addiction, or coma. In 2016, more than 20,000 deaths occurred in the United States due to overdoses of fentanyl and analogues, half of all reported opioid-related deaths. Fentanyl works primarily by activating μ-opioid receptors. It is around 100 times stronger than morphine, and some analogues such as carfentanil are around 10,000 times stronger. Fentanyl was first made by Paul Janssen in 1960 and approved for medical use in the United States in 1968. In 2015, 1,600 kilograms (3,500 lb) were used in healthcare globally. As of 2017[update], fentanyl was the most widely used synthetic opioid in medicine. Fentanyl patches for cancer pain are on the WHO List of Essential Medicines, which lists the most effective and safe medicines needed in a health system. For a 100 microgram vial, the average wholesale cost in the developing world was US$0.66 in 2015. In 2017, the price in the United States was US$0.49 for that same amount. In 2016, it was the 218th most prescribed medication in the United States, with more than 2 million prescriptions. In 2016 fentanyl became the drug involved in the most overdoses deaths in the United States. Intravenous fentanyl is often used for anaesthesia and analgesia. During anaesthesia it is often used along with a hypnotic agent like propofol. It is also administered in combination with a benzodiazepine, such as midazolam, to produce sedation for procedures such as endoscopy, cardiac catheterization, and oral surgery, or in emergency rooms. It is also used in the management of chronic pain including cancer pain. Fentanyl is sometimes given intrathecally as part of spinal anaesthesia or epidurally for epidural anaesthesia and analgesia. Because of fentanyl's high lipid solubility, its effects are more localized than morphine, and some clinicians prefer to use morphine to get a wider spread of analgesia. Fentanyl transdermal patches are used in chronic pain management. The patches work by slowly releasing fentanyl through the skin into the bloodstream over 48 to 72 hours, allowing for long-lasting pain management. Dosage is based on the size of the patch, since, in general, the transdermal absorption rate is constant at a constant skin temperature. Rate of absorption is dependent on a number of factors. Body temperature, skin type, amount of body fat, and placement of the patch can have major effects. The different delivery systems used by different makers will also affect individual rates of absorption. Under normal circumstances, the patch will reach its full effect within 12 to 24 hours; thus, fentanyl patches are often prescribed with a fast-acting opioid (such as morphine or oxycodone) to handle breakthrough pain. It is unclear if fentanyl gives long-term pain relief to people with neuropathic pain. Duragesic was first approved by the College ter Beoordeling van Geneesmiddelen, the Medicines Evaluation Board in the Netherlands, on July 17, 1995, as 25, 50, 75 and 100 µg/h formulations after a set of successful clinical trials, and on October 27, 2004, the 12 µg/h (actually 12.5 µg/h) formulation was approved as well. On January 28, 2005, the U.S. Food and Drug Administration approved first-time generic formulations of 25, 50, 75, and 100 µg/h fentanyl transdermal systems (made by Mylan Technologies, Inc.; brand name Duragesic, made by Janssen) through an FTC consent agreement derailing the possibility of a monopoly in the treatment of breakthrough chronic pain by Alza Corp. In some cases, physicians instruct people to apply more than one patch at a time, giving a much wider range of possible dosages. For example, a person may be prescribed a 37.5 µg dosage by applying one 12.5 µg patch and one 25 µg patch simultaneously, or contingent on the large size of the (largest) 100 μg/h patch, multiple patches are commonly prescribed for doses exceeding 100μg/h, such as two 75 μg/h patches worn to afford a 150 μg/h dosage regimen. Although the commonly referred to dosage rates are 12/25/50/75/100 µg/h, the "12 µg" patch actually releases 12.5 µg/h. It is designed to release half the dose of the 25 µg/h dose patch. As of July 2009, construction of the Duragesic patch had been changed from the gel pouch and membrane design to "a drug-in-adhesive matrix designed formulation", as described in the prescribing information. This construction makes illicit use of the fentanyl more difficult. The fentanyl patch is one of a small number of medications that may be especially harmful, and in some cases fatal, with just one dose, if used by someone other than the person for whom the medication was prescribed. Unused fentanyl patches should be kept in a secure location that is out of children's sight and reach, such as a locked cabinet. Fentanyl lozenges (Actiq) are a solid formulation of fentanyl citrate on a stick in the form of a lollipop that dissolves slowly in the mouth for transmucosal absorption. These lozenges are intended for opioid-tolerant individuals and are effective in treating breakthrough cancer pain. It has also been used for breakthrough pain for people with non-cancer-related pain, but this application is controversial. The unit is a berry-flavoured lozenge on a stick swabbed on the mucosal surfaces inside the mouth—inside of the cheeks, under and on the tongue and gums—to release the fentanyl quickly into the system. It is most effective when the lozenge is consumed within 15 minutes. About 25% of the medication is absorbed through the oral mucosa, resulting in a fast onset of action, and the rest is swallowed and absorbed in the small intestine, acting more slowly. The lozenge is less effective and acts more slowly if swallowed as a whole, as despite good absorbance from the small intestine there is extensive first-pass metabolism, leading to an oral bioavailability of about 33% as opposed to 50% when used correctly (25% via the mouth mucosa and 25% via the gut). Actiq is produced by the pharmaceutical company Cephalon on a plastic stick; this provides the means by which the medication can maintain its placement while it dissolves slowly in the mouth for absorption across the buccal mucosa, in a manner similar to sublingual buprenorphine/naloxone film strips. An Actiq lozenge contains 2 grams of sugar (8 calories). Actiq has been linked to dental decay, with some users who had no prior dental issues suffering tooth loss, and in the U.S many users have started their own Facebook pages to educate users about the severe dental issues caused by Actiq fentanyl pops as well as suing Cephalon for damages. In September 2006, a generic fentanyl lozenge was released by Barr Pharmaceuticals. USAF Pararescue combat medics in Afghanistan use fentanyl lollipops on combat casualties from IED blasts and other trauma. The stick is taped to a finger and the lozenge put in the cheek of the person. When enough fentanyl has been absorbed, the (sedated) person generally let the lollipop fall from the mouth, indicating sufficient analgesia and somewhat reducing the likelihood of overdose and associated risks. Some routes of administration such as nasal sprays and inhalers generally result in faster onset of high blood levels, which can provide more immediate analgesia but also more severe side effects, especially in overdose. The much higher cost of some of these appliances may not be justified by marginal benefit compared with buccal or oral options. Intranasal fentanyl appears to be as equally effective as IV morphine and superior to intramuscular morphine for management of acute hospital pain. A fentanyl patient-controlled transdermal system (PCTS) is under development, which aims to allow people to control administration of fentanyl through the skin to treat postoperative pain. US yearly overdose deaths, and some of the drugs involved. 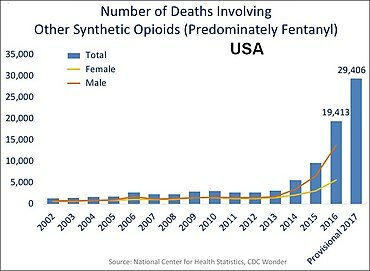 Among the more than 72,000 deaths estimated in 2017, the sharpest increase occurred among deaths related to fentanyl and fentanyl analogs (synthetic opioids in the chart) with over 29,000 deaths. Fentanyl's most common side effects (more than 10% of people) include diarrhea, nausea, constipation, dry mouth, somnolence, confusion, asthenia (weakness), sweating, and less frequently (3 to 10% of people) abdominal pain, headache, fatigue, anorexia and weight loss, dizziness, nervousness, hallucinations, anxiety, depression, flu-like symptoms, dyspepsia (indigestion), shortness of breath, hypoventilation, apnoea, and urinary retention. Fentanyl use has also been associated with aphasia. Saturation of the body fat compartment in people with rapid and profound body fat loss (people with cancer, cardiac or infection-induced cachexia can lose 80% of their body fat). Early carbon dioxide retention causing cutaneous vasodilation (releasing more fentanyl), together with acidosis, which reduces protein binding of fentanyl, releasing yet more fentanyl. The duration of action of fentanyl has sometimes been underestimated, leading to harm in a medical context. In 2006, the U.S. Food and Drug Administration (FDA) began investigating several respiratory deaths, but doctors in the United Kingdom were not warned of the risks with fentanyl until September 2008. The FDA reported in April 2012 that twelve young children had died and twelve more made seriously ill from separate accidental exposures to fentanyl skin patches. In July 2014, the Medicines and Healthcare Products Regulatory Agency (MHRA) of the UK issued a warning about the potential for life-threatening harm from accidental exposure to transdermal fentanyl patches, particularly in children, and advised that they should be folded, with the adhesive side in, before being discarded. The patches should be kept away from children, who are most at risk from fentanyl overdose. In the US, fentanyl and fentanyl analogs caused over 29,000 deaths in 2017, a large increase over the previous four years. Death from fentanyl overdose was declared a public health crisis in Canada in September 2015, and it continues to be a significant public health issue. In 2016, deaths from fatal fentanyl overdoses in British Columbia, Canada, averaged two persons per day. In 2017 the death rate rose over 100% with 368 overdose related deaths in British Columbia between January and April 2017. Fentanyl has started to make its way into heroin and oxycodone, and more recently, cocaine. A kilogram of heroin laced with fentanyl may sell for US$1.6 million, but the fentanyl itself may be produced far more cheaply for about US$6,000 per kilogram. Fentanyl is often produced in China and exported illegally to the U.S.
As of 2018 fentanyl was the most commonly listed opioid in overdose drug deaths surpassing heroin. Between 2013–2016 overdose deaths involving fentanyl increased 113% per year. The intravenous dose causing 50% of experimental subjects to die (LD50) is "3 mg/kg in rats, 1 mg/kg in cats, 14 mg/kg in dogs, and 0.03 mg/kg in monkeys." The LD50 in mice has been given as 6.9 mg/kg by intravenous administration, 17.5 mg/kg intraperitoneally, 27.8 mg/kg by oral administration. The LD50 in humans is unknown, but a lethal dose for the average person is estimated to be 2 mg.
Fentanyl provides some of the effects typical of other opioids through its agonism of the opioid receptors. As a Mu-receptor agonist, it binds 50 to 100 times more strongly than morphine. Fentanyl can also bind to the delta and kappa opioid receptors but with a lower affinity. Its strong potency relative to morphine is largely due to its high lipophilicity, per the Meyer-Overton correlation. Because of this, it can more easily penetrate the central nervous system. Fentanyl binds to opioid receptors⁠ ⁠— G-protein coupled receptors (GPCR) which regulate synaptic transmission. Binding of fentanyl activates the GPCR which initiates signalling to result in the inhibition of the release of nociceptive neurotransmitters. This inhibits the ascending pathways in the central nervous system to increase pain threshold by changing the perception of pain; this is mediated by decreasing propagation of nociceptive signals, resulting in analgesic effects. Fentanyl may be measured in blood or urine to monitor for abuse, confirm a diagnosis of poisoning, or assist in a medicolegal death investigation. Commercially available immunoassays are often used as initial screening tests, but chromatographic techniques are generally used for confirmation and quantitation. Blood or plasma fentanyl concentrations are expected to be in a range of 0.3–3.0 μg/l in persons using the medication therapeutically, 1–10 μg/l in intoxicated people and 3-300 μg/l in victims of acute overdosage. Spray-mass spectrometry (PS-MS) may be useful for initial testing of samples. Fentanyl was first synthesized in Belgium by Paul Janssen under the label of his relatively newly formed Janssen Pharmaceutica in 1959. It was developed by screening chemicals similar to pethidine (meperidine) for opioid activity. The widespread use of fentanyl triggered the production of fentanyl citrate (the salt formed by combining fentanyl and citric acid in a 1:1 stoichiometric ratio). Fentanyl citrate entered medical use as a general anaesthetic in 1968, manufactured by McNeil Laboratories under the trade name Sublimaze. In the mid-1990s, Janssen Pharmaceutica developed and introduced into clinical trials the Duragesic patch, which is a formation of an inert alcohol gel infused with select fentanyl doses, which are worn to provide constant administration of the opioid over a period of 48 to 72 hours. After a set of successful clinical trials, Duragesic fentanyl patches were introduced into medical practice. Following the patch, a flavoured lollipop of fentanyl citrate mixed with inert fillers was introduced in 1998 under the brand name of Actiq, becoming the first quick-acting formation of fentanyl for use with chronic breakthrough pain. In 2009, the US Food and Drug Administration approved Onsolis (fentanyl buccal soluble film), a fentanyl drug in a new dosage form for cancer pain management in opioid-tolerant subjects. It uses a medication delivery technology called BEMA (BioErodible MucoAdhesive), a small dissolvable polymer film containing various fentanyl doses applied to the inner lining of the cheek. Fentanyl has a US DEA ACSCN of 9801 and a 2013 annual aggregate manufacturing quota of 2,108.75 kg, unchanged from the prior year. In the UK, fentanyl is classified as a controlled Class A drug under the Misuse of Drugs Act 1971. In the Netherlands, fentanyl is a List I substance of the Opium Law. In the U.S., fentanyl is a Schedule II controlled substance per the Controlled Substance Act. Distributors of Abstral are required to implement an FDA-approved risk evaluation and mitigation strategy (REMS) program. In order to curb misuse, many health insurers have begun to require precertification and/or quantity limits for Actiq prescriptions. In Canada, fentanyl is considered a Schedule I drug as listed in Canada's Controlled Drugs and Substances Act. A 2018 report by The Guardian indicated that many major drug suppliers on the dark web have voluntarily banned the trafficking of fentanyl. The US Food and Drug Administration (FDA) has issued public health advisories related to fentanyl patch dangers. Among these, in July 2005, the FDA issued a Public Health Advisory, which advised that "deaths and overdoses have occurred in patients using both the brand name product Duragesic and the generic product." In December 2007, as part of this continuing investigation, the FDA issued a second Public Health Advisory stating, "The FDA has continued to receive reports of deaths and life-threatening side effects in patients who use the fentanyl patch. The reports indicate that doctors have inappropriately prescribed the fentanyl patch... In addition, the reports indicate that patients are continuing to incorrectly use the fentanyl patch..."
Illicit use of pharmaceutical fentanyl and its analogues first appeared in the mid-1970s in the medical community and continues in the present. More than 12 different analogues of fentanyl, all unapproved and clandestinely produced, have been identified in the U.S. drug traffic. In February 2018, the U.S. Drug Enforcement Administration indicated that illicit fentanyl analogs have no medically valid use, and thus applied a "Schedule I" classification to them. The biological effects of the fentanyl analogues are similar to those of heroin, although often with less euphoria and stronger sedative and analgesic effects. Fentanyl analogues may be hundreds of times more potent than heroin. Fentanyl is used orally, smoked, snorted, or injected. Fentanyl is sometimes sold as heroin or oxycodone, sometimes leading to overdoses. Many fentanyl overdoses are initially classified as heroin overdoses. The recreational use is not particularly widespread in the EU with the exception of Tallinn, Estonia, where it has largely replaced heroin. Estonia has the highest rate of 3-methylfentanyl overdose deaths in the EU, due to its high rate of recreational use. Fentanyl is sometimes sold on the black market in the form of transdermal fentanyl patches such as Duragesic, diverted from legitimate medical supplies. The gel from inside the patches is sometimes ingested or injected. Another form of fentanyl that has appeared on the streets is the Actiq lollipop formulation. The pharmacy retail price ranges from US$15 to US$50 per unit based on the strength of the lozenge, with the black market cost ranging from US$5 to US$25, depending on the dose. The attorneys general of Connecticut and Pennsylvania have launched investigations into its diversion from the legitimate pharmaceutical market, including Cephalon's "sales and promotional practices for Provigil, Actiq and Gabitril". Non-medical use of fentanyl by individuals without opiate tolerance can be very dangerous and has resulted in numerous deaths. Even those with opiate tolerances are at high risk for overdoses. Like all opioids, the effects of fentanyl can be reversed with naloxone, or other opiate antagonists. Naloxone is increasingly available to the public. Long acting or sustained release opioids may require repeat dosage. Illicitly synthesized fentanyl powder has also appeared on the United States market. Because of the extremely high strength of pure fentanyl powder, it is very difficult to dilute appropriately, and often the resulting mixture may be far too strong and, therefore, very dangerous. Some heroin dealers mix fentanyl powder with heroin to increase potency or compensate for low-quality heroin. In 2006, illegally manufactured, non-pharmaceutical fentanyl often mixed with cocaine or heroin caused an outbreak of overdose deaths in the United States and Canada, heavily concentrated in the cities of Dayton, Ohio; Chicago; Detroit; and Philadelphia. Several large quantities of illicitly produced fentanyl have been seized by U.S. law enforcement agencies. In November 2016, the DEA uncovered an operation making counterfeit oxycodone and Xanax from a home in Cottonwood Heights, Utah. They found about 70,000 pills in the appearance of oxycodone and more than 25,000 in the appearance of Xanax. The DEA reported that millions of pills could have been distributed from this location over the course of time. The accused owned a pill press and ordered fentanyl in powder form from China. A seizure of a record amount of fentanyl occurred on February 2, 2019 by U.S. Customs and Border Protection in Nogales, Arizona. The 254 pounds (115 kg) of fentanyl, which was estimated to be worth US$3.5M, was buried under a pile of cucumbers and stowed under a special floor compartment. The "China White" form of fentanyl refers to any of a number of clandestinely produced analogues, especially α-methylfentanyl (AMF). This Department of Justice document lists "China White" as a synonym for a number of fentanyl analogues, including 3-methylfentanyl and α-methylfentanyl, which today are classified as Schedule I drugs in the United States. Part of the motivation for AMF is that, despite the extra difficulty from a synthetic standpoint, the resultant drug is relatively more resistant to metabolic degradation. This results in a drug with an increased duration. In June 2013, the United States Centers for Disease Control and Prevention (CDC) issued a health advisory to emergency departments alerting to 14 overdose deaths among intravenous drug users in Rhode Island associated with acetylfentanyl, a synthetic opioid analog of fentanyl that has never been licensed for medical use. In a separate study conducted by the CDC, 82% of fentanyl overdose deaths involved illegally manufactured fentanyl, while only 4% were suspected to originate from a prescription. Beginning in 2015, Canada has seen a number of fentanyl overdoses. Authorities suspected that the drug was being imported from Asia to the western coast by organized crime groups in powder form and being pressed into pseudo-OxyContin tablets. Traces of the drug have also been found in other recreational drugs including cocaine, MDMA, and heroin. The drug has been implicated in multiple deaths from the homeless to young professionals, including multiple teens and young parents. Because of the rising deaths across the country, especially in British Columbia where the deaths for 2016 is 668 and deaths for 2017 (January to October) is 999,Health Canada is putting a rush on a review of the prescription-only status of naloxone in an effort to combat overdoses of the drug. Fentanyl has been discovered for sale in illicit markets in Australia in 2017 and in New Zealand in 2018. In response, New Zealand experts called for wider availability of naloxone. In February 2004, a leading fentanyl supplier, Janssen Pharmaceutica Products, L.P., recalled one lot, and later, additional lots of fentanyl (brand name: Duragesic) patches because of seal breaches which might have allowed the medication to leak from the patch. A series of Class II recalls was initiated in March 2004, and in February 2008 ALZA Corporation recalled their 25 µg/h Duragesic patches due to a concern that small cuts in the gel reservoir could result in accidental exposure of patients or health care providers to the fentanyl gel. In February 2011, the manufacturer suspended production of all Duragesic patches due to quality control issues involving unspecified "microscopic crystallization" detected during the manufacturing process of the 100 µg/h strength. Brand names include Sublimaze, Actiq, Durogesic, Duragesic, Fentora, Matrifen, Haldid, Onsolis, Instanyl, Abstral, Lazanda and others. Subsys is a sublingual spray of fentanyl manufactured by Insys Therapeutics. The wholesale cost in the developing world as of 2015[update] is between US$0.08 and US$0.81 per 100 microgram vial. In the United States this amount costs about US$0.40 as of 2017[update]. In the United States the patches cost US$11.22 for a 12 µg/hr version and US$8.74 for a 100 µg/hr version. Medical examiners concluded that musician Prince died on April 21, 2016, from an accidental fentanyl overdose. Fentanyl was among many substances identified in counterfeit pills recovered from his home, especially some that were mislabeled as Watson 385, a combination of hydrocodone and paracetamol. American rapper Lil Peep also died of an accidental fentanyl overdose on November 15, 2017. On January 19, 2018, the medical examiner-coroner for the county of Los Angeles said Tom Petty died from an accidental drug overdose as a result of mixing medications that included fentanyl, acetyl fentanyl and despropionyl fentanyl (among others). He was reportedly treating "many serious ailments" that included a broken hip. Additionally in 2018, American rapper Mac Miller died from an accidental overdose of fentanyl, cocaine and alcohol. 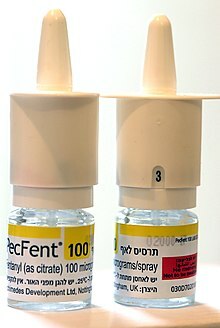 Russian spetsnaz security forces used a fentanyl analogue or derivative to incapacitate people rapidly in the Moscow theater hostage crisis in 2002. The siege was ended, but about 130 of the 850 hostages died from the gas. The Russian Health Minister later stated that the gas was based on fentanyl, but the exact chemical agent has not been identified. In August 2018, the United States used fentanyl for the first time to execute a prisoner. Carey Dean Moore, at the time one of the United States' longest-serving death row inmates, was executed at the Nebraska State Penitentiary. Moore received a lethal injection, administered as an intravenous series of four drugs that included fentanyl citrate to inhibit breathing and render the subject unconscious. The other drugs included diazepam as a tranquilizer, cisatracurium besylate as a muscle relaxant, and potassium chloride to stop the heart. The use of fentanyl in execution caused concern among death penalty experts because it was part of a previously untested drug cocktail. The execution was also protested by anti-death penalty advocates at the prison during the execution and later at the Nebraska capitol building. Fentanyl in injectable formulation is commonly used for analgesia and as a component of balanced sedation and general anesthesia in small animal patients. Its potency and short duration of action make it particularly useful in critically ill patients. In addition, it tends to cause less vomiting and regurgitation than other pure-opiate (codeine, morphine) and synthetic pure-opioid agonists (oxycodone, hydromorphone) when given as a continuous post-operative infusion. As with other pure-opioid agonists, fentanyl can be associated with dysphoria in both dogs and cats. Transdermal fentanyl has also been used for many years in dogs and cats for post-operative analgesia. This is usually done with off-label fentanyl patches manufactured for humans with chronic pain. In 2012 a highly concentrated (50 mg/ml) transdermal solution, trade name Recuvyra, has become commercially available for dogs only. It is FDA approved to provide four days of analgesia after a single application prior to surgery. It is not approved for multiple doses or other species. The drug is also approved in Europe. ^ a b Clinically Oriented Pharmacology (2 ed.). Quick Review of Pharmacology. 2010. p. 172. ^ a b c d e f g h i j "Fentanyl, Fentanyl Citrate, Fentanyl Hydrochloride". The American Society of Health-System Pharmacists. Archived from the original on 14 December 2017. Retrieved 8 December 2017. ^ "Guideline for administration of fentanyl for pain relief in labour" (PDF). RCP. Archived (PDF) from the original on 4 March 2016. Retrieved 7 October 2015. Onset of action after IV administration of Fentanyl is 3–5 minutes; duration of action is 30–60 minutes. ^ "Fentanyl Drug Overdose". CDC Injury Center. 29 August 2017. Archived from the original on 15 December 2017. Retrieved 14 December 2017. ^ a b "Fentanyl Side Effects in Detail - Drugs.com". Drugs.com. Archived from the original on 2018-06-16. Retrieved 2018-06-16. ^ "Overdose Death Rates". National Institute on Drug Abuse. 15 September 2017. Archived from the original on 13 December 2017. Retrieved 14 December 2017. ^ "Nearly half of opioid-related overdose deaths involve fentanyl". National Institute on Drug Abuse. 2018-05-01. Archived from the original on 2018-06-14. Retrieved 2018-06-14. ^ "Commission on Narcotic Drugs takes decisive step to help prevent deadly fentanyl overdoses". Commission on Narcotic Drugs, United Nations Office on Drugs and Crime. 16 March 2017. Archived from the original on 20 March 2017. Retrieved 19 March 2017. ^ Stanley TH (April 1992). "The history and development of the fentanyl series". Journal of Pain and Symptom Management. 7 (3 Suppl): S3–7. doi:10.1016/0885-3924(92)90047-L. PMID 1517629. ^ Narcotic Drugs Estimated World Requirements for 2017 Statistics for 2015 (PDF). New York: United Nations. 2016. p. 40. ISBN 978-92-1-048163-2. Archived (PDF) from the original on 22 October 2017. Retrieved 14 December 2017. ^ "Fentanyl And Analogues". LverTox. 16 October 2017. Archived from the original on 7 January 2017. Retrieved 14 December 2017. ^ "WHO Model List of Essential Medicines (20th List)" (PDF). World Health Organization. March 2017. p. 2. Archived (PDF) from the original on 22 August 2017. Retrieved 29 June 2017. ^ a b "Single Drug Information". International Medical Products Price Guide. Archived from the original on 15 December 2017. Retrieved 14 December 2017. ^ a b c "NADAC as of 2017-12-13". Centers for Medicare and Medicaid Services. Archived from the original on 14 December 2017. Retrieved 14 December 2017. ^ Hedegaard, H; Bastian, BA; Trinidad, JP; Spencer, M; Warner, M (December 2018). "Drugs Most Frequently Involved in Drug Overdose Deaths: United States, 2011-2016". National vital statistics reports : from the Centers for Disease Control and Prevention, National Center for Health Statistics, National Vital Statistics System. 67 (9): 1–14. PMID 30707673. ^ Godwin SA, Burton JH, Gerardo CJ, Hatten BW, Mace SE, Silvers SM, Fesmire FM (February 2014). "Clinical policy: procedural sedation and analgesia in the emergency department". Annals of Emergency Medicine. 63 (2): 247–58.e18. doi:10.1016/j.annemergmed.2013.10.015. PMID 24438649. ^ Smith HS, Colson J, Sehgal N (April 2013). "An update of evaluation of intravenous sedation on diagnostic spinal injection procedures". Pain Physician. 16 (2 Suppl): SE217–28. PMID 23615892. Archived from the original on 2015-10-19. Retrieved 2017-05-01. ^ Plante GE, VanItallie TB (October 2010). "Opioids for cancer pain: the challenge of optimizing treatment". Metabolism. 59 Suppl 1: S47–52. doi:10.1016/j.metabol.2010.07.010. PMID 20837194. ^ Bujedo BM (July 2014). "Current evidence for spinal opioid selection in postoperative pain". The Korean Journal of Pain. 27 (3): 200–9. doi:10.3344/kjp.2014.27.3.200. PMC 4099232. PMID 25031805. ^ "Fentanyl". www.dea.gov. Retrieved 4 December 2018. ^ a b c Jasek W, ed. (2007). Austria-Codex (in German) (62nd ed.). Vienna: Österreichischer Apothekerverlag. pp. 2621f. ISBN 978-3-85200-181-4. ^ Derry S, Stannard C, Cole P, Wiffen PJ, Knaggs R, Aldington D, Moore RA (October 2016). "Fentanyl for neuropathic pain in adults". The Cochrane Database of Systematic Reviews. 10: CD011605. doi:10.1002/14651858.CD011605.pub2. PMID 27727431. ^ a b "Official Duragesic Full Prescribing Information" (PDF). Archived from the original (PDF) on 2008-08-28. ^ a b "Disposal of Unused Medicines: What You Should Know". U.S. Food and Drug Administration. Archived from the original on 2013-09-06. Retrieved 2013-09-10. ^ "Medicines Recommended for Disposal by Flushing". U.S. Food and Drug Administration. Archived from the original on 2013-09-06. Retrieved 2013-09-10. ^ "Medication Guide and Instructions for Use – Duragesic (fentanyl) Transdermal System" (PDF). U.S. Food and Drug Administration. Archived (PDF) from the original on 2013-10-22. Retrieved 2013-09-10. ^ Karlsen AP, Pedersen DM, Trautner S, Dahl JB, Hansen MS (June 2014). "Safety of intranasal fentanyl in the out-of-hospital setting: a prospective observational study". Annals of Emergency Medicine. 63 (6): 699–703. doi:10.1016/j.annemergmed.2013.10.025. PMID 24268523. ^ a b Murphy A, O'Sullivan R, Wakai A, Grant TS, Barrett MJ, Cronin J, McCoy SC, Hom J, Kandamany N (October 2014). "Intranasal fentanyl for the management of acute pain in children". The Cochrane Database of Systematic Reviews. 10 (10): CD009942. doi:10.1002/14651858.CD009942.pub2. PMID 25300594. ^ a b c "Abstral Sublingual Tablets - Summary of Product Characteristics". UK Electronic Medicines Compendium. May 2016. Archived from the original on 23 March 2017. Retrieved 1 May 2017. ^ "Abstral (Fentanyl Sublingual Tablets for Breakthrough Cancer Pain)". P & T. 36 (2): 2–28. February 2011. PMC 3086091. PMID 21560267. ^ Ward, J.; Laird, B.; Fallon, M. (2011). "The UK breakthrough cancer pain registry: Origin, methods and preliminary data". BMJ Supportive & Palliative Care. 1: A24. doi:10.1136/bmjspcare-2011-000020.71. ^ a b Jasek W, ed. (2007). Austria-Codex (in German) (62nd ed.). Vienna: Österreichischer Apothekerverlag. pp. 89–92. ISBN 978-3-85200-181-4. ^ O'Connor AB (March 2008). "Is actiq use in noncancer-related pain really "a recipe for success"?". Pain Medicine. 9 (2): 258–60, author reply 261–5. doi:10.1111/j.1526-4637.2008.00413.x. PMID 18298711. ^ "Actiq (fentanyl citrate) Uses, Dosage, Side Effects - Drugs.com". Archived from the original on 2017-02-22. Retrieved 2017-05-01. ^ "Fentanyl citrate (oral transmucosal)". drugs.com. Archived from the original on 2017-02-22. ^ "Suit Claims Cephalon's Actiq Is Fatal to Teeth". Archived from the original on 2018-06-14. Retrieved 2018-06-14. ^ "Barr Launches Generic ACTIQ(R) Cancer Pain Management Product – LifeSciencesWorld". Archived from the original on 2007-09-29. Retrieved 2007-08-29. ^ a b Shachtman N (September 10, 2009). "Airborne EMTs Shave Seconds to Save Lives in Afghanistan". Danger Room. Wired. Archived from the original on July 6, 2010. Retrieved July 1, 2010. ^ Koo PJ (June 2005). "Postoperative pain management with a patient-controlled transdermal delivery system for fentanyl". American Journal of Health-System Pharmacy. 62 (11): 1171–6. PMID 15914877. Archived from the original on 2018-08-06. Retrieved 2016-03-28. ^ a b "fentanyl". Drugs@FDA: FDA Approved Drug Products. U.S. Food and Drug Administration. Archived from the original on 2013-03-13. Retrieved 2013-09-04. ^ a b Mayes S, Ferrone M (December 2006). "Fentanyl HCl patient-controlled iontophoretic transdermal system for the management of acute postoperative pain". The Annals of Pharmacotherapy. 40 (12): 2178–86. doi:10.1345/aph.1H135. PMID 17164395. Archived from the original on 2012-10-01. Retrieved 2010-12-17. ^ McLoughlin R, McQuillan R (September 1997). "Transdermal fentanyl and respiratory depression". Palliative Medicine. 11 (5): 419–421. doi:10.1177/026921639701100515. PMID 9472602. ^ Bülow HH, Linnemann M, Berg H, Lang-Jensen T, LaCour S, Jonsson T (August 1995). "Respiratory changes during treatment of postoperative pain with high dose transdermal fentanyl". Acta Anaesthesiologica Scandinavica. 39 (6): 835–9. doi:10.1111/j.1399-6576.1995.tb04180.x. PMID 7484044. ^ Regnard C, Pelham A (December 2003). "Severe respiratory depression and sedation with transdermal fentanyl: four case studies". Palliative Medicine. 17 (8): 714–6. doi:10.1191/0269216303pm838cr (inactive 2019-02-14). PMID 14694924. ^ Smydo J (1979). "Delayed respiratory depression with fentanyl". Anesthesia Progress. 26 (2): 47–8. PMC 2515983. PMID 295585. ^ van Leeuwen L, Deen L, Helmers JH (August 1981). "A comparison of alfentanil and fentanyl in short operations with special reference to their duration of action and postoperative respiratory depression". Der Anaesthesist. 30 (8): 397–9. PMID 6116461. ^ Brown DL (November 1985). "Postoperative analgesia following thoracotomy. Danger of delayed respiratory depression". Chest. 88 (5): 779–80. doi:10.1378/chest.88.5.779. PMID 4053723. ^ Nilsson C, Rosberg B (June 1982). "Recurrence of respiratory depression following neurolept analgesia". Acta Anaesthesiologica Scandinavica. 26 (3): 240–1. doi:10.1111/j.1399-6576.1982.tb01762.x. PMID 7113633. ^ "Fentanyl patches: serious and fatal overdose from dosing errors, accidental exposure, and inappropriate use". Drug Safety Update. 2 (2): 2. September 2008. Archived from the original on 2015-01-01. ^ "Fentanyl Patch Can Be Deadly to Children". U.S. FDA (Drugs.com). April 19, 2012. Archived from the original on July 25, 2013. Retrieved July 30, 2013. ^ Stanley TH, Petty WC (1983-03-31). New Anesthetic Agents, Devices, and Monitoring Techniques. Springer. ISBN 978-90-247-2796-4. Retrieved 20 October 2007. ^ a b "Fentanyl. Image 4 of 17". Drug Enforcement Administration. ^ "Fentanyl patches warning". Pharmaceutical Journal. Archived from the original on 8 April 2016. Retrieved 28 March 2016. ^ "MHRA warns about fentanyl patches after children exposed". Pharmaceutical Journal. Archived from the original on 9 April 2016. Retrieved 28 March 2016. ^ Katz J (September 2, 2017). "The First Count of Fentanyl Deaths in 2016- Up 540% in Three Years". The New York Times. Archived from the original on September 4, 2017. Retrieved September 4, 2017. ^ "Fentanyl Overdose". Huffington Post. May 20, 2016. Archived from the original on June 5, 2016. Retrieved June 4, 2016. ^ "Fentanyl-Detected in Illicit Drug Overdose Deaths January 1, 2012 to April 30, 2016" (PDF). British Columbia Coroners Service. Archived from the original (PDF) on 2016-06-25. Retrieved June 9, 2016. ^ "Fentanyl contributed to hundreds of deaths in Canada so far this year". 2017-07-31. Archived from the original on 2017-09-14. Retrieved 2017-09-14. ^ Scaccia, Annamarya (2018-10-09). "How Fentanyl Is Contaminating America's Cocaine Supply". Rolling Stone. Retrieved 2018-11-05. ^ Chang, Ailsa (3 December 2018). "What It Means For The U.S. That China Will Label Fentanyl As 'A Controlled Substance'". All Things Considered. NPR. Retrieved 6 December 2018. ^ Reinberg, Steven (December 12, 2018). "Fentanyl overtakes heroin as the No. 1 opioid overdose killer". CBS. Retrieved December 12, 2018. ^ "Fentanyl Citrate Injection, USP" (PDF). US Food and Drug Administration. ^ Shiv Kumar; et al. (2014). "Synthesis and biological evaluation of some novel 1-substituted fentanyl analogs in Swiss albino mice". Interdiscip Toxicol. 7 (2): 93–102. doi:10.2478/intox-2014-0013. PMC 4427721. ^ Ruben S Vardanyan and Victor J Hruby (March 2014). "Fentanyl-related compounds and derivatives: current status and future prospects for pharmaceutical applications". Future Med Chem. 6 (4): 385–412. doi:10.4155/fmc.13.215. PMC 4137794. ^ "Fentanyl drug profile". European Monitoring Centre for Drugs and Drug Addiction. ^ Raynor K, Kong H, Chen Y, Yasuda K, Yu L, Bell GI, Reisine T (1994). "Pharmacological characterization of the cloned kappa-, delta-, and mu-opioid receptors". Mol. Pharmacol. 45 (2): 330–4. PMID 8114680. ^ a b Suzuki, Joji; El-Haddad, Saria (2017-02-01). "A review: Fentanyl and non-pharmaceutical fentanyls". Drug and Alcohol Dependence. 171: 107–116. doi:10.1016/j.drugalcdep.2016.11.033. ISSN 0376-8716. PMID 28068563. ^ "Fentanyl". www.drugbank.ca. Retrieved 18 January 2019. ^ Baselt, R. (2017) Disposition of Toxic Drugs and Chemicals in Man, 11th edition, Biomedical Publications, Foster City, CA, pp. 883–886. ^ Vandergrift GW, Hessels AJ, Palaty J, Krogh ET, Gill CG (April 2018). "Paper spray mass spectrometry for the direct, semi-quantitative measurement of fentanyl and norfentanyl in complex matrices". Clinical Biochemistry. 54: 106–111. doi:10.1016/j.clinbiochem.2018.02.005. PMID 29432758. ^ López-Muñoz F, Alamo C (April 2009). "The consolidation of neuroleptic therapy: Janssen, the discovery of haloperidol and its introduction into clinical practice". Brain Research Bulletin. 79 (2): 130–41. doi:10.1016/j.brainresbull.2009.01.005. PMID 19186209. ^ Black J (March 2005). "A personal perspective on Dr. Paul Janssen" (PDF). Journal of Medicinal Chemistry. 48 (6): 1687–8. doi:10.1021/jm040195b. PMID 15771410. Archived from the original (PDF) on 2007-10-10. ^ "DailyMed: About DailyMed". Dailymed.nlm.nih.gov. Archived from the original on 2010-03-21. Retrieved 2010-07-28. ^ "Fentanyl (Sublimaze®)". Clinical Pharmacology & Therapeutics. 9 (5): 704–706. September 1968. doi:10.1002/cpt196895704. ISSN 0009-9236. ^ "ACTIQ® (fentanyl citrate) oral transmucosal lozenge (1968 version revised in 2011)" (PDF). US Food and Drug Administration. December 2011. Archived (PDF) from the original on 10 February 2017. Retrieved 26 December 2017. ^ a b "Questions and Answers about Onsolis (fentanyl buccal soluble film)". US Food and Drug Administration. 16 July 2009. Archived from the original on 22 July 2017. Retrieved 26 December 2017. ^ "Misuse of Drugs Act 1971". Archived from the original on 2012-12-29. Retrieved 2017-03-22. ^ "RelayHealth's pharmacy connectivity network and reach, aligned with McKesson Specialty Care Solutions' REMS expertise, expands cancer patients' access to pain therapy". Atlanta. 20 January 2011. Archived from the original on 2016-01-29. Retrieved 5 November 2015. ^ Shelley S (22 April 2011). "With a Few Stumbles, REMS Begins to Hit Its Stride". Pharmaceutical Commerce. Archived from the original on 29 January 2016. Retrieved 5 November 2015. ^ "BlueCross BlueShield of Arizona notice regarding precertification requirement" (PDF). BlueCross BlueShield of Arizona. November 5, 2007. Archived from the original (PDF) on August 28, 2008. ^ "Medications Requiring Precertification". Oxford Health Plans. Archived from the original on October 15, 2006. ^ "Canada's Controlled Drugs and Substances Act". laws.justice.gc.ca. Retrieved 2018-09-08. ^ Townsend, Mark (December 1, 2018). "Dark web dealers voluntarily ban deadly fentanyl". The Guardian. Retrieved December 3, 2018. ^ a b "Fentanyl Transdermal System (marketed as Duragesic) Information". U.S. Food and Drug Administration. Archived from the original on 2013-08-22. Retrieved 2013-09-10. ^ Ducharme, Jamie (3 December 2018). "China Has Promised to Crack Down on Fentanyl. Here's What That Could Mean for Overdose Deaths in the U.S." Time. Retrieved 6 December 2018. ^ "Synthetic drug fentanyl causes overdose boom in Estonia". BBC News. 30 March 2012. Archived from the original on 28 July 2018. Retrieved 21 June 2018. ^ a b "Fentanyl" (PDF). Drug Enforcement Administration. March 2015. Archived (PDF) from the original on 2016-06-11. Retrieved 2016-06-02. ^ Mars, Sarah G.; Rosenblum, Daniel; Ciccarone, Daniel (4 December 2018). "Illicit fentanyls in the opioid street market: desired or imposed?". Addiction. doi:10.1111/add.14474. PMID 30512204. ^ "CDC Nonpharmaceutical Fentanyl-Related Deaths – Multiple States, April 2005 – March 2007". Cdc.gov. Archived from the original on 2010-07-26. Retrieved 2010-07-28. ^ "DEA Microgram Bulletin, June 2006". US Drug Enforcement Administration, Office of Forensic Sciences Washington, D.C. 20537. June 2006. Archived from the original on 21 July 2009. Retrieved 22 June 2009. ^ Tanner C. "Thousands of fentanyl pills confiscated in Utah drug raid". The Salt Lake Tribune. Archived from the original on 2016-11-24. Retrieved 2016-11-23. ^ "Cottonwood Heights drug bust one of the largest in Utah history". fox13now.com. 2016-11-22. Archived from the original on 2016-11-23. Retrieved 2016-11-23. ^ &NA; (January 2009). "Oxycodone overdose/fentanyl". Reactions Weekly. &NA, (1235): 27. doi:10.2165/00128415-200912350-00081. ISSN 0114-9954. ^ a b "List of Schedule I Drugs". U.S. Department of Justice. Archived from the original on January 9, 2010. ^ Van Bever WF, Niemegeers CJ, Janssen PA (October 1974). "Synthetic analgesics. Synthesis and pharmacology of the diastereoisomers of N-(3-methyl-1-(2-phenylethyl)-4-piperidyl)-N-phenylpropanamide and N-(3-methyl-1-(1-methyl-2-phenylethyl)-4-piperidyl)-N-phenylpropanamide". Journal of Medicinal Chemistry. 17 (10): 1047–51. doi:10.1021/jm00256a003. PMID 4420811. ^ CDC Health Alert Network (June 20, 2013). "Recommendations for Laboratory Testing for Acetyl Fentanyl and Patient Evaluation and Treatment for Overdose with Synthetic Opioids". Centers for Disease Control and Prevention. Archived from the original on 2013-06-24. Retrieved June 20, 2013. ^ Characteristics of Fentanyl Overdose — Massachusetts, 2014–2016 (Report). Centers for Disease Control and Prevention. April 14, 2017. ^ Lethal fentanyl profiting gangs in Western Canada while deaths climb Archived 2015-09-04 at the Wayback Machine, Metro News Edmonton, August 6, 2015. ^ Fentanyl doesn’t discriminate, killing the homeless and young professionals Archived 2016-12-20 at the Wayback Machine, Edmonton Journal, August 22, 2015. ^ "Fentanyl - Detected Illicit Drug Overdose Deaths" (PDF). British Columbia Government. Archived from the original (PDF) on 2018-01-17. ^ "Winnipeg Naloxone-distribution program could prevent fentanyl deaths | CBC News". CBC. Archived from the original on 31 May 2018. Retrieved 16 January 2018. ^ Bonini T (13 October 2017). "Could fentanyl be Australia's next deadly drug epidemic?". ABC News. Archived from the original on 8 May 2018. Retrieved 6 April 2018. ^ "Fentanyl found at New Zealand festival". KnowYourStuffNZ. 20 March 2018. Archived from the original on 7 April 2018. Retrieved 6 April 2018. ^ Buchanan, Julian. "NZ's 'deadly' indifference to drug overdose antidote". HealthCentral NZ. Archived from the original on 7 April 2018. Retrieved 6 April 2018. ^ "PRICARA RECALLS 25 mcg/hr DURAGESIC (fentanyl transdermal system) CII PAIN PATCHES". FDA. 2008-02-12. Archived from the original on 2008-05-13. Retrieved 2008-05-10. ^ "Introducing Onsolis". Onsolis.com. Archived from the original on 2010-07-22. Retrieved 2010-07-28. ^ "EPAR summary for the public: Instanyl" (PDF). European Medicines Agency. Archived (PDF) from the original on 2012-05-20. Retrieved 2010-07-28. ^ "Abstral: Prescribing Information". Archived from the original on 2011-07-14. Retrieved 2011-01-07. ^ "Lazanda (fentanyl nasal spray) CII". Lazanda.com. Archived from the original on 2012-04-25. Retrieved 2012-05-14. ^ "Fentanyl". International Drug Names. Drugs.com. Archived from the original on 2018-06-16. Retrieved 2018-01-23. ^ Worstall T (11 May 2014). "The Short Case For Insys Therapeutics". Forbes. Archived from the original on 18 May 2015. Retrieved 12 May 2015. ^ a b Eligon J, Kovaleski SF (June 2, 2016). "Prince Died From Accidental Overdose of Opioid Painkiller". The New York Times. Archived from the original on August 5, 2017. Retrieved March 1, 2017. ^ "Official: Mislabeled pills found at Prince's estate contained fentanyl". Chicago Tribune. Archived from the original on August 22, 2016. Retrieved August 22, 2016. ^ "Report: Toxic Combo of Prescription Drugs Killed Rapper". Archived from the original on 2017-12-10. Retrieved 2017-12-09. ^ Brown A (November 16, 2017). "Lil Peep, hero to the emo and hip-hop scenes, dies of suspected overdose at 21". Los Angeles Times. Archived from the original on November 18, 2017. Retrieved November 16, 2017. ^ Coscarelli J (2018). "Tom Petty Died From Accidental Drug Overdose Involving Opioids, Coroner Says". The New York Times. ISSN 0362-4331. Archived from the original on 2018-01-20. Retrieved 2018-01-20. ^ "Mac Miller's Cause of Death: Accidental Fentanyl, Cocaine Overdose". Rolling Stone. 2018-11-05. Retrieved 2018-11-05. ^ "Russia names Moscow Siege Gas". BBC. October 31, 2002. Archived from the original on June 19, 2018. Retrieved May 18, 2018. ^ a b "Nebraska first to use fentanyl in execution". BBC News. 2018-08-14. Retrieved 2018-08-15. ^ "Nebraska becomes first state to use fentanyl in execution". NBC News. 2018-08-14. Retrieved 2018-08-15. ^ a b "Nebraska Carries Out 1st Execution Using Fentanyl In U.S." NPR.org. Retrieved 2018-08-15. ^ "Nebraska will make history in its execution of a death row inmate". Newsweek. 2018-08-14. Retrieved 2018-08-15. ^ a b "Fentanyl Used to Execute Nebraska Inmate, in a First for U.S." New York Times. 2018-08-14. Retrieved 2018-08-15. ^ a b "Nebraska executes inmate using powerful opioid fentanyl". PBS NewsHour. 2018-08-14. Retrieved 2018-08-15. ^ "Original new animal drug application: Recuvyra" (PDF). Archived (PDF) from the original on 2015-09-04. Retrieved 2014-09-22. ^ "European Medicines Agency – Veterinary medicines – Recuvyra". Archived from the original on 4 March 2016. Retrieved 28 March 2016. 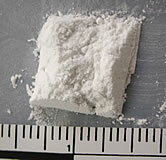 Wikimedia Commons has media related to Fentanyl.